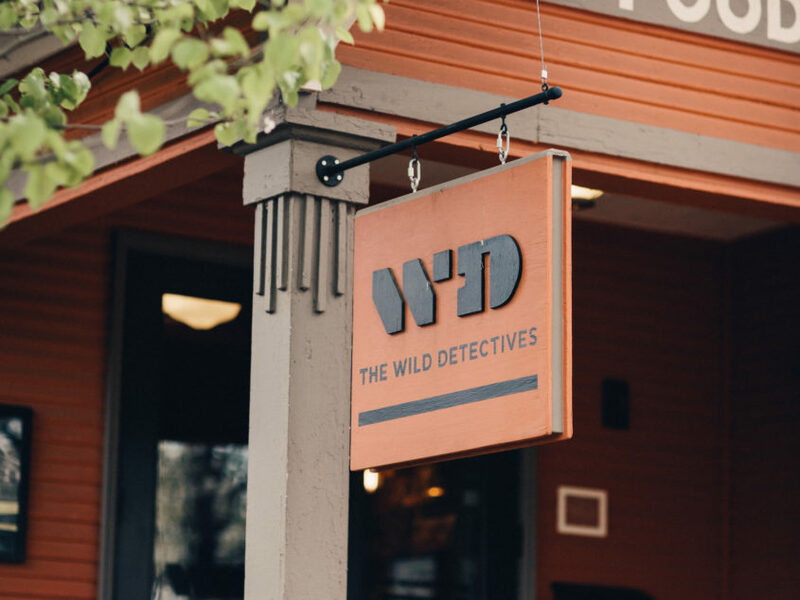 Meet one of the owners of Dallas’ The Wild Detectives, a bookstore that’s evolved into a hotbed of literary intellectual conversation. Javier García del Moral and Paco Vique opened The Wild Detectives after ten years’ friendship, during which they enjoyed countless discussions about literature, film, and music. With The Wild Detectives, they intended to create not only a bookstore but a place for conversation and social gathering. 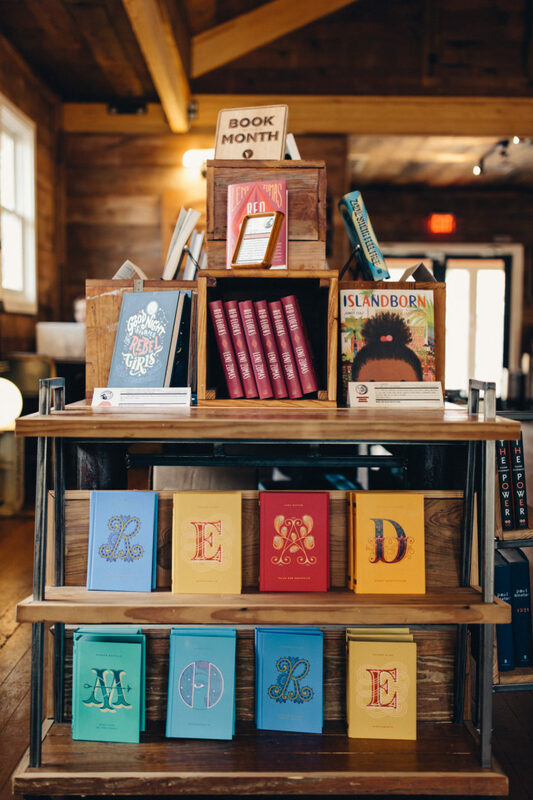 The combination bookstore and bar has become an anchor for the literary scene in Dallas, Texas. 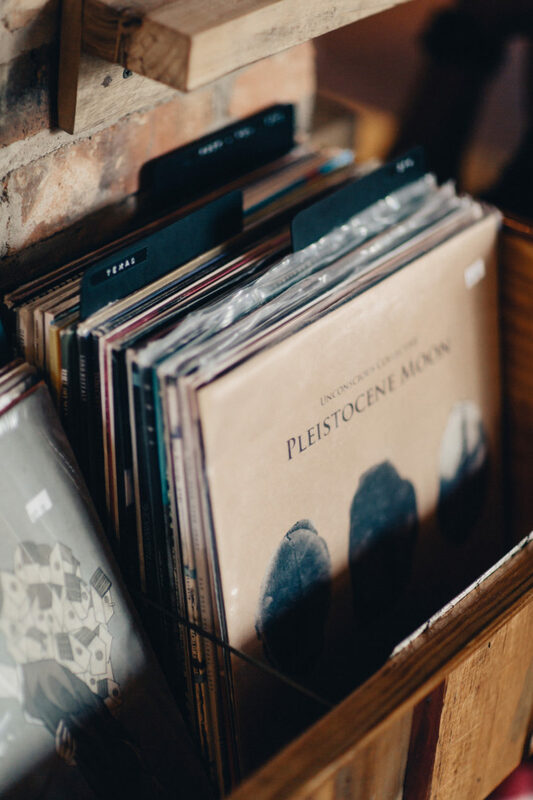 We spoke with Javier about talking culture, the importance of triggering curiosity, and how they’ve chosen to curate the books they sell (hint: it involves a lot of trusted bookish friends). 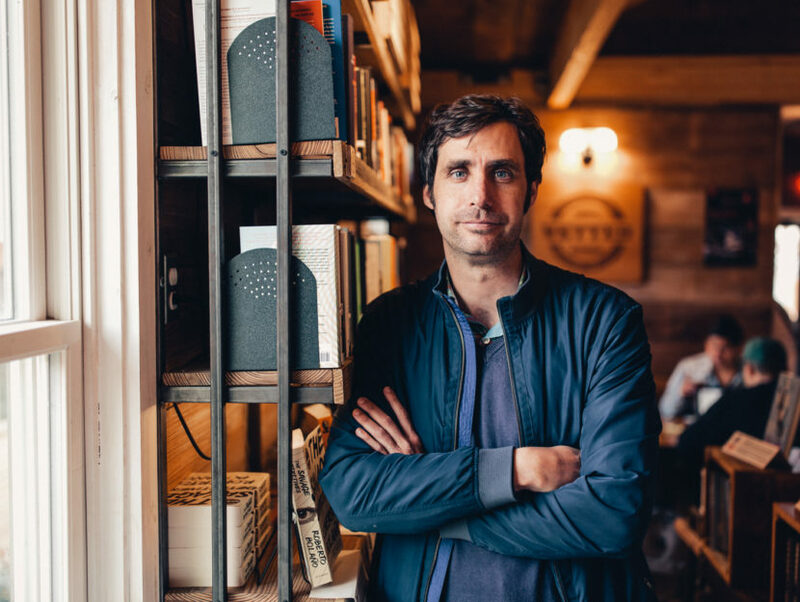 You and your friend Paco opened The Wild Detectives in 2014, with the idea to make it not just a bookstore, but also a bar, and a space for conversation. Tell us about what makes The Wild Detectives different. Javier: Our intention wasn’t really to reinvent anything. We always had in mind a place where we could share things that were important for us, which are books and music and conversations between people. 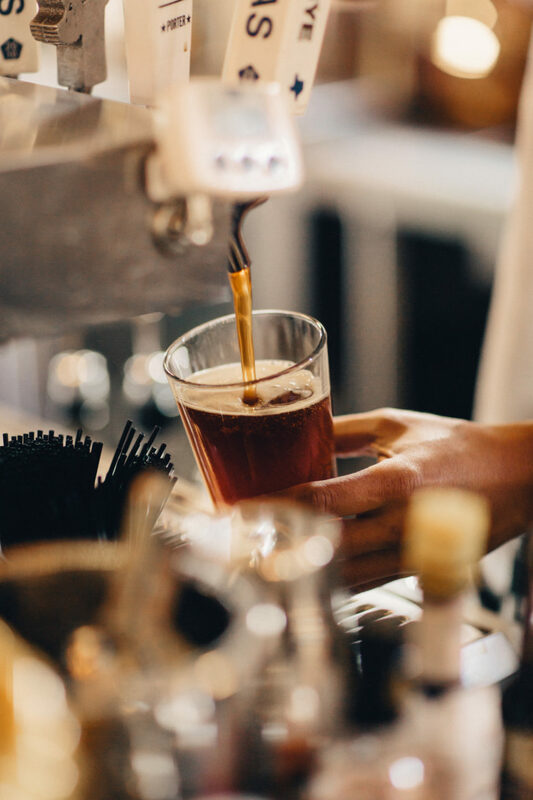 We wanted to make a place where you have the opportunity to go and have a drink with someone, whether it’s a coffee, a beer, or a cocktail, which usually helps to get people in the mood so they can share their thoughts. Having books in a place that’s culturally oriented in a different way creates an environment that encourages this interchange. Nowadays, it’s really hard to find a place that offers drinks and doesn’t have a TV, especially here in Texas. That makes it different, in that the only distraction you’ll find will be books on display or records, or an event going on. All of these things will help to skew the conversation to the topics that are important. 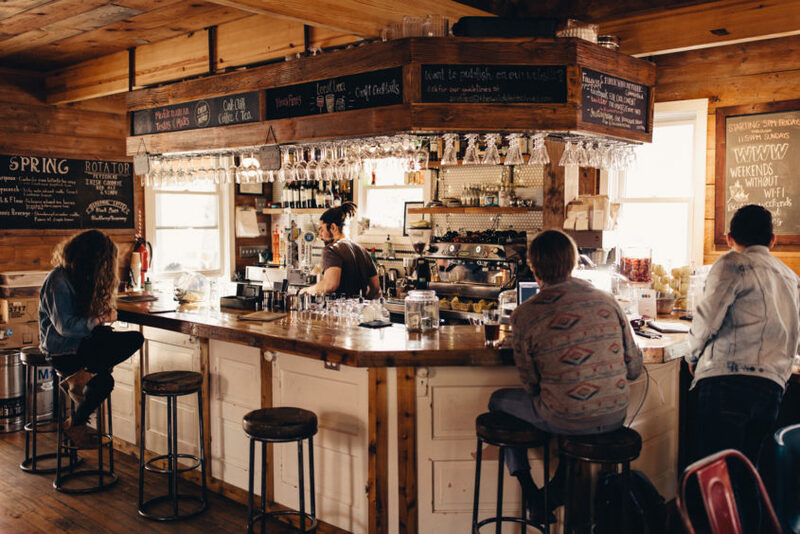 On your website you refer to talking culture, saying “We want our space to encourage people to have a drink and talk to one another, to open up and share ideas, to hang out smartly, to engage in a conversation that will open new realities for them. That’s what talking culture does. It opens spaces that weren’t there before, because culture accumulates into more culture.” What kind of conversations have you overheard or been involved in as part of the talking culture? Javier: You overhear a lot of people express what they find interesting, which is the essence of this talking; to share knowledge. Whether it is knowledge you’ve acquired by reading a book, or being at a show or performance, what’s important is that when people share those thoughts, they transmit these ideas. It’s common to hear people talking about books they’ve read and experiences they’ve had. What I think they all have in common is that their conversations are driven by curiosity. A place like [Wild Detectives] draws people who are curious about what’s going on here, and how we combine these things under one roof. Or, they see we’re hosting an author they’re not extremely familiar with, but they find the theme of the discussion interesting. It’s people who make a little effort to expose themselves to something different. And that little effort pays off; it opens you to other things that you don’t usually consume, that expand your world in the end. We live in a society that is extremely rich in communication. But as contradictory as it sounds, we’re also tending to be more encapsulated in what we want to hear. So I think places like ours trigger curiosity. We’re trying to encourage that line of thinking. You’ve been open for four years now. 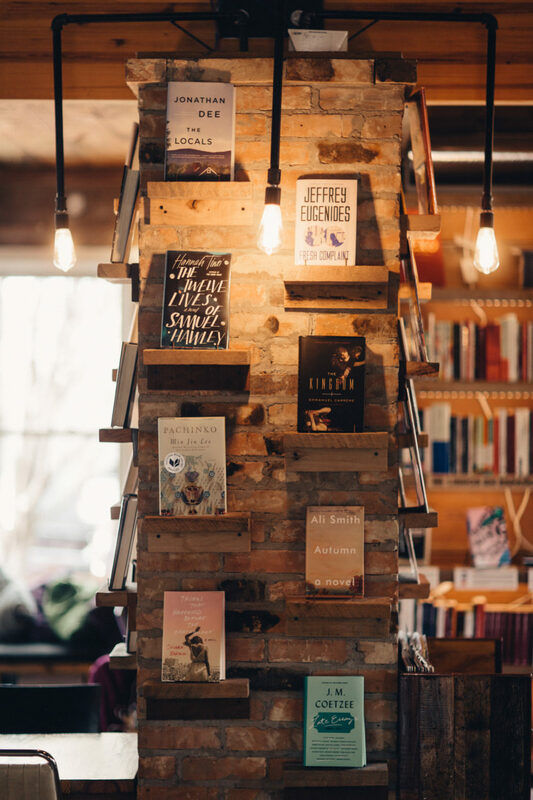 What effect would you say your approach to bookselling, with your focus on making a space for conversation, has had on the surrounding community in Dallas? And vice versa: what effect has Dallas had on shaping the space? Javier: We’ve had an impact in terms of having a space where people could share thoughts. There were already many literary groups in Dallas, and obviously, we didn’t reinvent anything. Whatever was here was what helped us thrive. But we added a place that’s always there. It’s not an event space where you have to wait a month to meet certain people, or you have to wait two months to have an event. It’s open every single day. We have events that you can count on. We have a literary scene, and I hope I don’t sound pretentious, but I think our venue has been a vehicle to materialize that scene. When we opened, we were the only independent bookstore in Dallas oriented to this type of literature and conversation. There are a lot of bookstores, and most of them are bigger than ours. But we opened with some events and a space for people to share. You mentioned that when you opened you were the only bookstore that had this type of literature. Is there a certain ethos to the books that you choose to sell? Javier: The literature that we have is also in other bookstores, but I guess we are the only one to only focus on this type of thing. We carry a very limited number of titles; we have about 1,300. We have about 10% poetry, another 10% books in Spanish, and the rest is nonfiction or fiction in English. My partner Paco and I, we’re from Spain, we’re civil engineers, and we met in Ireland years ago. Because of our jobs, we had to establish ourselves in different countries for longer periods of time. 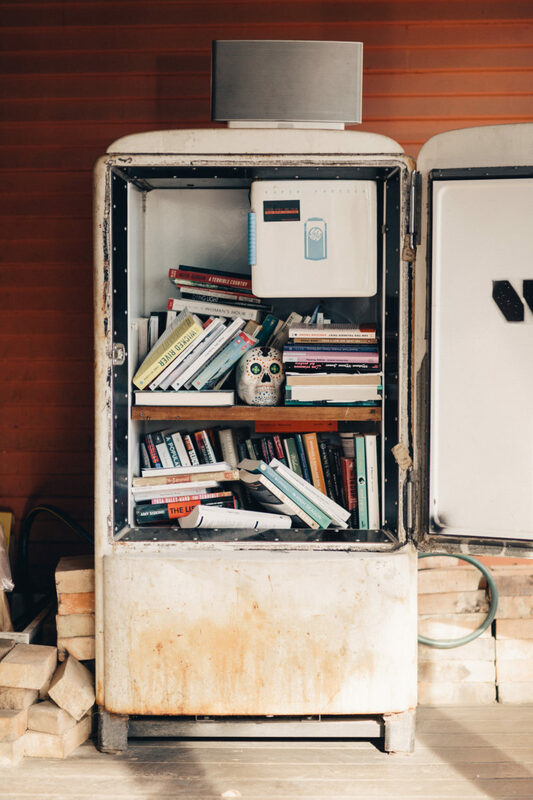 That allowed us to get to know people who are close to the literary world, whether through their jobs, because they’re publishers, writers, or they consume a lot of literature. Every single book in the store has been selected by us or by someone that we personally know. We have a list of about 100 people, and each of these people gives us a list of books every now and then that they find important. We go through that database to select our books. So every single title that we have, you might not like, but I’m sure it’s interesting, because someone that we trust has vetted it. This list is still growing and changing every other week. What do you love about bookselling? Javier: For me, it was about doing something that I really like to do. I still work as a civil engineer, and so does Paco. I like civil engineering; this is what I went to school for. It’s an interesting field, and it shaped me in a very particular way, because it takes a while to become an engineer, so you’re always affected by that. The city reacted in a way that we never expected. Dallas embraced the bookstore since day one. Now that it’s four years later, it’s easy to understand, but when we started, the concept was different than what you’d find in Dallas. We were concerned that the city wouldn’t understand it, that the people would say, “This doesn’t make sense.” But it did, people came by and said: “We’re really happy that you’re here.” There are different levels of gratification in this whole venture. I love letting people know about things they didn’t know before. I really appreciate when I travel to a different city and visit a bookstore or record store, and someone recommends something that becomes one of my favorite things. So, I want to believe that we make some impact on that level as well. Did you encounter challenges or surprises once you opened the store? Javier: Oh yeah, many. I guess the biggest one was because we do so many different things. We have the books, the records, and then the bar, and in addition, we have a very active event programming calendar. So it takes a big coordination effort to make this work without getting crazy. You need to have people who can wear many different hats and be good at all of them, and it’s not always easy to find someone who’s very into literature, but at the same time is okay doing inventory, placing orders, presenting an author, and contacting a publishing company to arrange an event. For the business model, if you have one person for every single thing you do, that’s unsustainable. It took us a while to understand how we could do this in an efficient way. What’s your bookselling philosophy, in a few words? Javier: In a few words, I would say our philosophy is selling books that we enjoy ourselves and that we believe will have an impact on the reader. Whether it’s because they loved it, or whether it’s that they found it interesting to read. Our philosophy, whatever we do is: if you try it, whether you like it or not, at least you’ll find interesting the time that you gave to it. You won’t feel like you just wasted your time. Javier: These are some of my favorite writers, in no particular order. In a few hours, this list would probably be different! Emmanuel Carrere, Roberto Bolaño, Ian McEwan, Carlos Velazquez, Ben Fountain, Antonio Tabucchi, Philip Roth, Fernando Pessoa, John Coetzee, Jeffrey Eugenides, Michel Houellebecq, and Richard Ford. Javier: I’m currently reading books by two authors. One is from a Colombian writer, Juan Cárdenas, titled Los Estratos, and I’m reading that in Spanish. And the other one I’m reading is Stories of Your Life and Others from Ted Chiang, which is a collection of short stories; you might know one of them because it inspired the movie Arrival. It’s a science fiction, socially-oriented collection. This might not be a fair question, because it’s not that easy to trace a cause and effect, but have you seen ideas come from conversations in your space and grow into something bigger, with people putting those ideas into action? Javier: I’ve definitely witnessed conversations that originated through an event at the bookstore and evolved from there to something else. I would be a little cautious to take ownership of that, because those ideas have been discussed long before. But there’s the concept of having a literary scene in Dallas, and that led us to be more ambitious about events that could happen, to be more ambitious about writers who could come to lecture. We’re trying to convey these conversations to let more people be part of them. 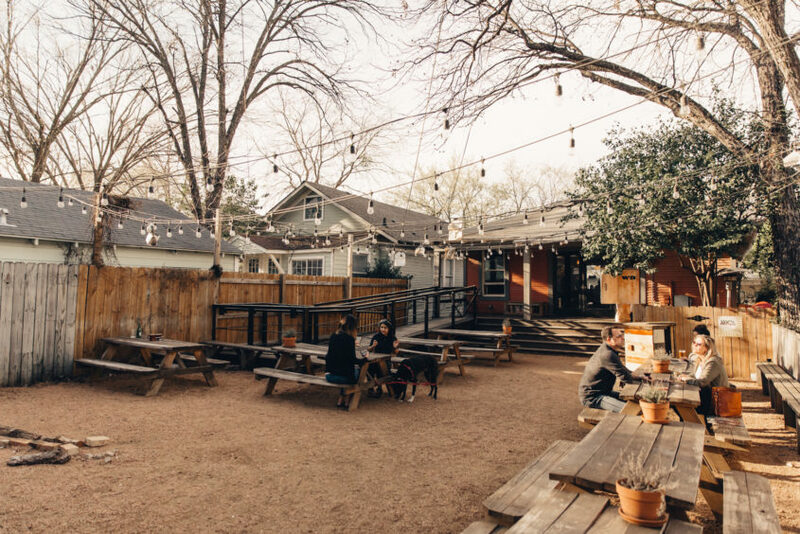 For example, March is devoted to the topic of gentrification, especially in our neighborhood, but also in Dallas, which, for us, is a hot topic. I’m pretty sure those conversations will develop into something else that we have nothing to do with. The moment you invite people to have a drink and discuss things, it always evolves into something much bigger than you, because you can’t stop it. 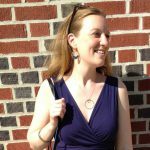 Are you seeing any trends in the book industry? 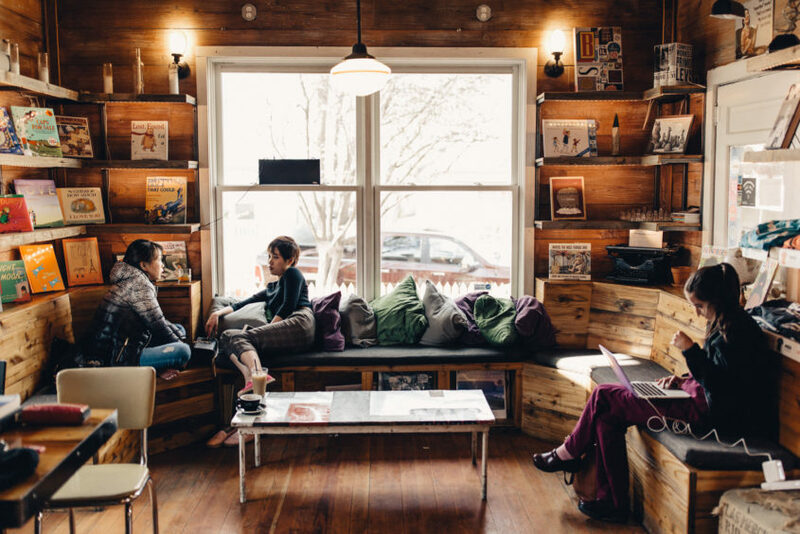 Do you have any predictions for the future of bookselling and the intellectual coffeehouse-type spaces like Wild Detectives? Javier: I can see a trend of places that, while they sell books, are very oriented to creating conversations, and to fostering this type of gathering. In my opinion, out of all the bookstores that open every year, probably half will focus on something than just selling books. When you open up you have to do more, not that you have to serve coffee per se, but you have to be very active. You need to be involved in the community. In reality, that’s what a real bookstore is. It’s hard to believe that a bookstore can just survive sitting behind a desk and waiting for people to come in. If you sell books like bestsellers, maybe you will survive, but the moment you compromise what you sell, you have to make an effort additionally to provide the books for a certain price. Bookstores are still thriving and not going anywhere, so I hope that remains the same. But it’s up to us how we make that happen. I can’t complain about how bookstores are difficult. I have a bookstore; it’s my responsibility to make it work, and if it doesn’t, it’s because what I’m offering is not there. It’s not that we have to blame people for not reading, we need to express how beautiful that could be. That happened with TV shows. Years ago, they were not even close to the quality you see nowadays. Some people took a risk, and the general consumer reacted well and said “Ok, you give me quality, I’ll take it. But you have to give it to me.” That’s what we as bookstores need to do, make sure that we increase peoples’ expectations so that they find it important to their lives. Do you have anything you want to add for our readers to know about The Wild Detectives? Javier: We’re very proud of something that we just came up with over the last few months. We try to put out initiatives that make literature more approachable, and we started more than a year ago doing a comic strip every Wednesday with a friend who’s an illustrator, called Reading Quirks. It’s on Instagram now at @ReadingQuirks. The comic is a way of making fun of ourselves and explaining how beautiful it is to be surrounded by books. It started as kind of a joke, and it will probably become a book, eventually.